If you are experiencing heel pain, there is a good chance you have plantar fasciitis. Amongst Americans, it's the most common cause of heel pain. What is it? Plantar fasciitis occurs when you strain the ligament that supports your foot arch (the plantar fascia). It most commonly affects middle-aged people but it can also affect younger people who are on their feet a lot, like athletes or policemen. The main symptom of plantar fasciitis is a stabbing pain in the bottom of your foot near the heel. Typically the pain is most severe right when you wake up and start walking. Physical therapy is a common choice for those suffering with plantar fasciitis. Here at Rise, we first do an assessment of your entire body to determine the cause of the pain. Foot pain can be caused by a multitude of problems so the key is determining the root cause and then beginning treatment. What does physical therapy treatment for plantar fasciitis look like? Stretching the muscles in the lower leg and foot. 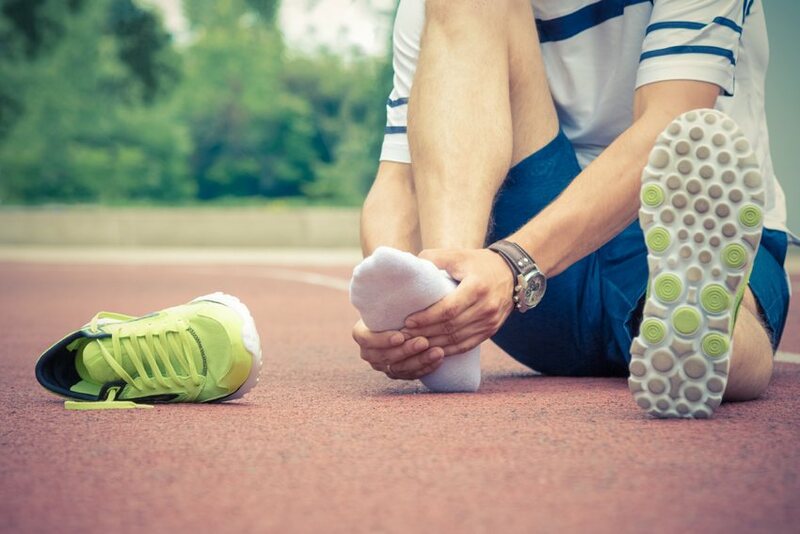 Our end goal is that you are able to walk away pain-free in the short term and also possess the know-how to avoid plantar fasciitis in the future.